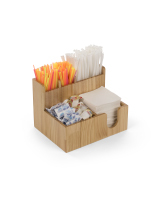 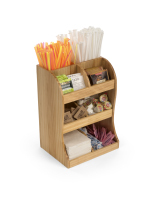 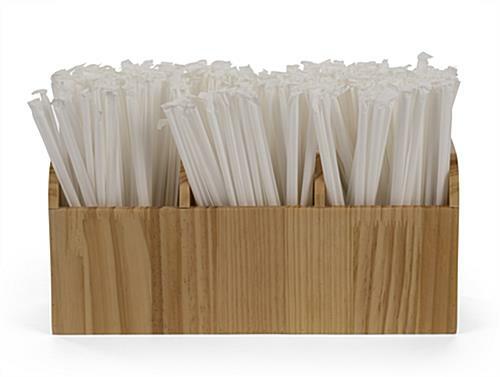 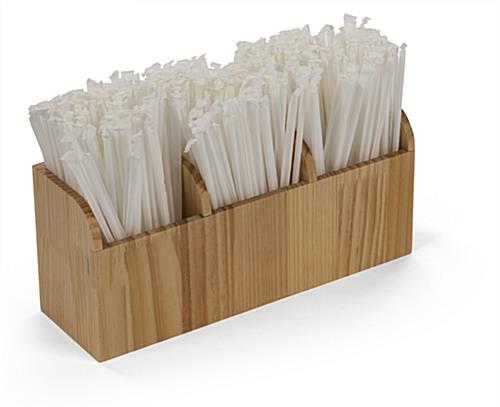 This wood stirrer dispenser straw caddy is a great organizational accessory for the coffee station in your café, restaurant or breakroom. 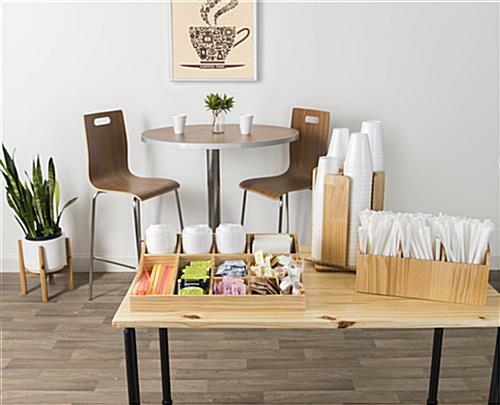 The compact tabletop design saves valuable space while offering plenty of room for stocking with supplies. 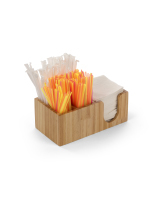 In contrast to more industrial-looking options, this natural pine finish stirrer dispenser straw caddy creates a warm and welcoming atmosphere that makes guests feel at home. 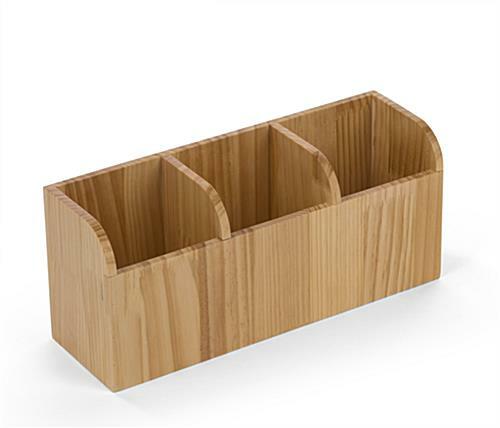 Three compartments allow you to display different kinds of supplies or go all-in and stock enough of one type to last an entire shift. 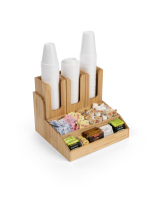 When it comes time to refill, the open-top style makes it fast and easy. 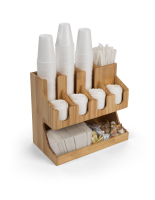 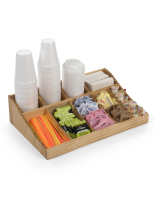 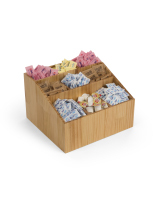 Give your café or breakroom a natural and warm look with this stirrer dispenser caddy. 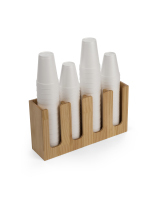 14.5" x 6.3" x 4.6"
4.4" x 6.0" x 3.9"